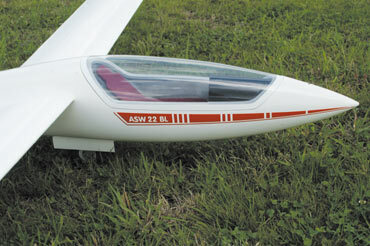 The ASW-22 BL is a high performance open class glider. 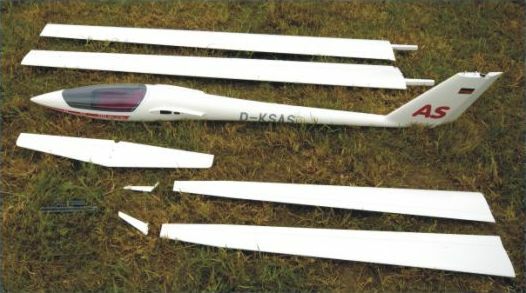 We at ICARE are very proud to offer here a (1:5) super-scale reproduction of this very high performance glider. 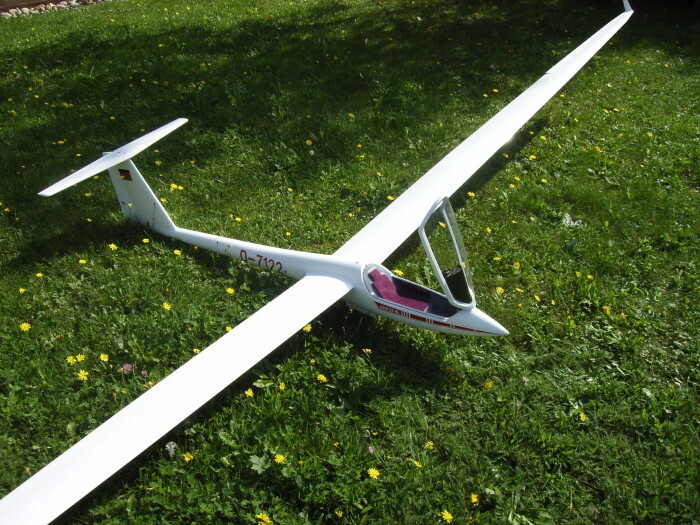 With a span of 5.3 meters this 1:5 scale ASW-22 BL is a very fine scale gliders. The model has been made in version full fiberglass, and the wings has been made with a sandwich method. The cockpit comes finished with control columns, upholstered seats, and some scale details such as instrument mushrooms complete with instruments. All that remains for the builder to do is add a scale pilot for complete realism. This glider comes completely built, and ready for radio installation. Only a few hours are required, before you go to the field. The moulded wings are made from carbon and Kevlar components, a carbon and glass fibre strengtheners runs through the centre of the wings. Airbrakes are installed and ready to be connected by the mean of a mini servo. Ailerons and flaps are hinged ready to hook up. 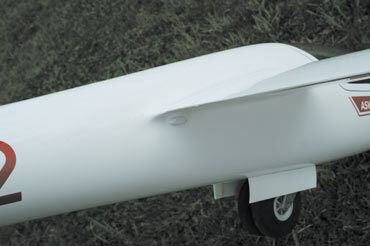 The high gloss, gel coated Fiberglas fuselage has the wing joiner carrying tubes, the rudder and elevator installed. The cockpit comes with all main components like the instrument mushrooms, seats, head rests done, it is the most detailed cockpit ever made. Canopy opens to the front like the full size. Landing retractable wheel comes are installed and ready to work, like the tow release. A small package hardware and short building instructions are completing the kit. If you would like to venture into large scale gliders this ASW-22 BL is a must! - Aero tow system: 1x standard servo. - Ailerons: 2x micro servo (for example servo VOLZ micro MAXX-X – 4 kg). - Flaps: 4x micro servo (for example servo VOLZ micro MAXX-X). - Airbrakes: 2x standard servo (for size of box). - Rudder: 1x standard servo. - Elevator: 1x standard servo. - Landing gear: 1x standard servo. Cockpit with stuffing and painting instrument panel. A small package hardware, set of decals, and short building instructions are completing the kit. Combo packages availabel pone request, FES option or self launch availabe.